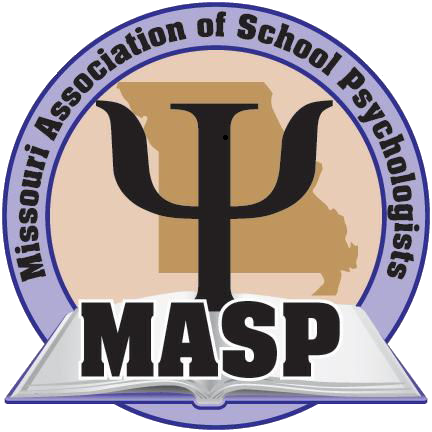 Are you aware that Nationally Certified School Psychologists in our state are now included as eligible MO HealthNet providers? This means that school districts can now recoup some of the funding for many of the services you provide. If you are a NCSP employed in a public school, please read more about this and get signed up today to be a MO HealthNet provider! MASP and NASP have long advocated for NCSP’s to fully utilize ALL of the skills in which you have training and expertise beyond assessment. Did you know that many of your services are now billable under MO HealthNet (for all Medicaid eligible students)? This means that if you are employed in a public school, your district can recoup some of the funding for the services you are already providing. NCSP’s are qualified to provide the same services within the school setting that a private clinical psychologist is qualified to provide and these services are now eligible for the same level of reimbursement. Some of the services a NCSP is qualified to provide to improve the mental health status of all students can be submitted to MO HealthNet for reimbursement to your school district (e.g. diagnostic evaluation, cognitive assessment, behavioral assessment, individual and group counseling). You are already providing many of these services in your district! Many districts already are signed up for SDAC – School District Administrative Claiming. Some districts also submit claims to receive reimbursement for direct services for IEP students. Recently MO HealthNet expanded reimbursement for behavioral health services to include children not served under IDEA. Therefore, these services are now available to any public-school Medicaid eligible child who needs any type of behavioral health services. They do not need to be IDEA eligible students, which means that schools can bill for services provided to Medicaid eligible students who are not served under the IDEA, when provided by a MO HealthNet enrolled provider. This will allow your school district to recoup some of the costs of hiring you and allow your district to hire additional NCSP’s in the future. Please remember that this option only applies to school psychologists who have an active NCSP. What if I never obtained my NCSP or have allowed it to lapse? It is also possible to obtain your NCSP if you graduated from a non-NASP approved School Psychology program although you will need to provide information from your graduate program to NASP to ensure you can demonstrate competency in each of the 10 domains of practice. Please review the information on in the Graduates of Non-NASP-Approved School Psychology Programs section of the NCSP Application page. 1. Talk to your district administrator about your ability to provide these services and that your district can now obtain reimbursement for these services. 2. If your district doesn’t currently bill for provision of direct services for Medicaid eligible students (e.g. behavioral health, speech-language, OT, PT, audiology, private duty nursing, personal care attendant, and transportation), encourage them to sign up with MO HealthNet to begin getting reimbursement to bring in a very needed source of income to your district. Your school district will need to add Behavioral Health Services for you to become eligible. 3. Go ahead and sign up NOW to become an eligible provider so that your district can receive much needed revenue from billable services you provide to otherwise eligible children. 4. If you have questions or need assistance for you or your school district to begin billing for direct services, please contact: Collin Swearingen (MSBA) 573-673-2013. He can assist individuals or school districts with questions about Direct Services, School District Administrative Claiming, and transportation.